Category: Books, Ancient Wisdom Tags: culture, Renaissance art. We may never know what the Mona Lisa is really smiling about, but we do know that there’s much more to the masterpieces of Renaissance art than the beauty that meets the eye. There are layers of significance hidden below the surface of the works of Leonardo da Vinci, Fra Angelico, Donatello, Michelangelo and many others. This magnificently illustrated guide by expert art historian, Richard Stemp, gives you the key to unlock those secrets for yourself. Split into three parts, Part One is a vivid immersion into the culture of this remarkable period, tracing the profusion of innovations in literature, painting, sculpture and the decorative arts that date to this time. 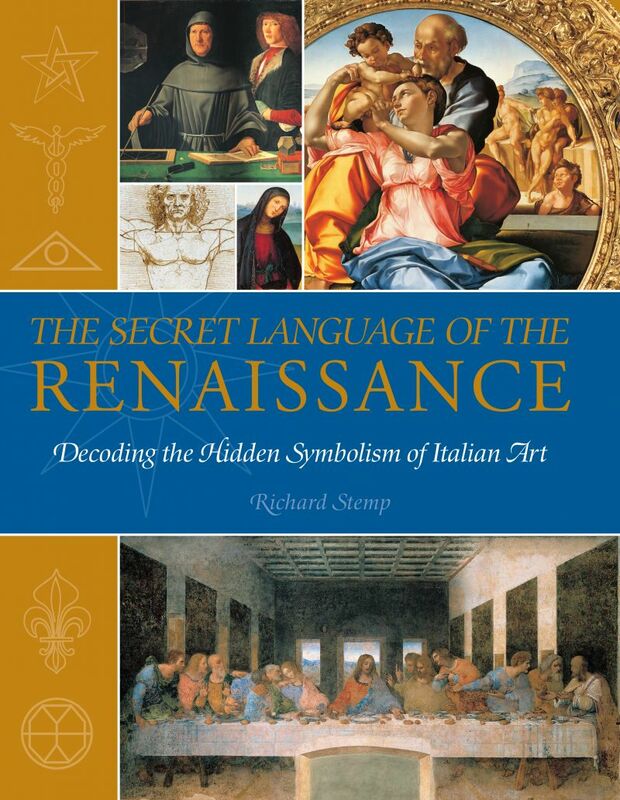 Part Two offers a wide-ranging guide to the essential elements of symbolic language in Renaissance art, including colour, geometry, light and shade, proportion, perspective and body language. In Part Three, the heart of the book, Richard Stemp analyzes more than 40 works grouped around a dozen themes, including mythology, war and peace, and death and eternity. Each work is shown in full colour and each is then deconstructed to reveal the symbols it contains and the enigmatic meanings behind them.